Premieres Sunday, July 13 at 8pm on Showtime. In its sprawling opening season, Ray Donovan struggled to find the proper focus on the various aspects of its troubled hero's life. Spread between family melodrama, Hollywood caricature and brooding noir, the series constantly spread itself thin. In the process, the title character was constantly overshadowed by scenery chewing supporting actors. In the midst of that mess, there was a lot to like about this complicated drama. Yet, in its second year, the show seems doomed to repeat its earlier mistakes. For the average person, a life as a Hollywood fixer would be plenty to deal with. Likewise, for the average drama series, it would be more than enough fuel to fire the engines of a 12-episode season. 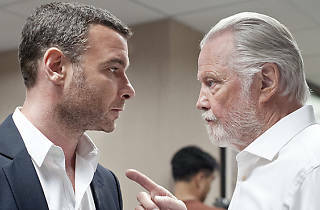 But in Ray Donovan, fixing is more of the side gig that provides a bit of an escape from the complicated history that Liev Schreiber's Ray shares with colorful family. After the failed attempt to have his father Mickey (Jon Voight) killed, Ray is brought in by the FBI to answer for the death of Sully Sullivan (James Woods) and forced into an extremely undesired reunion with his problematic patriarch. Still reeling from the doomed confrontation with the priest that ripped a hole through the Donovan family, brothers Bunchy (Dash Mihok) and Terry (Eddie Marsan) aren't exactly thrilled to have Mickey back in the picture either. The revelation that Ray was molested as a child and the fallout from the many lies that were exchanged between he and wife Abby (Paula Malcomson) has landed the pair in couples counseling. Their marriage has always been a fascinating aspect of the show with Abby cast an equally nagging and supportive housewife. With Ray putting extra effort into being an active husband and father—while still struggling to be emotionally available—the dynamics of Donovan home are an amusing puzzle and the source of some of the best moments in the early episodes of the season. It's understandable that Donovan wants to throw the Emmy nominated Voight back into the fray early on, but his presence was wearing thin by the close of last season and his chaos-breeding actions are just as tired this time around. He's a frequent distraction, keeping some of the better, underused parts of the show from getting their fair share of screentime. The brilliant Marsan is almost completely sidelined in these early episodes and Ray's fixer team Steven Bauer and Katherine Moenning continue to be wildly underused, which is a shame considering that their fleeting appearance often provide some much-needed levity. With such an impressive cast and so many good qualities, there was hope that in its second season this overstuffed series could reshape itself into something leaner and more entertaining. 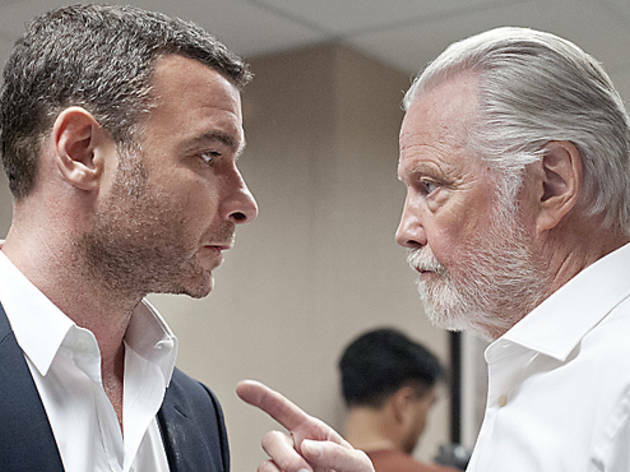 But sadly, like its main character, Ray Donovan seems incapable of learning from its past blunders.